Hello lovelies, I'm back! Yes, this is my first ever outfit post on my blog. People always wonder where I get my clothes and inspiration from. So continue reading to find out more details. 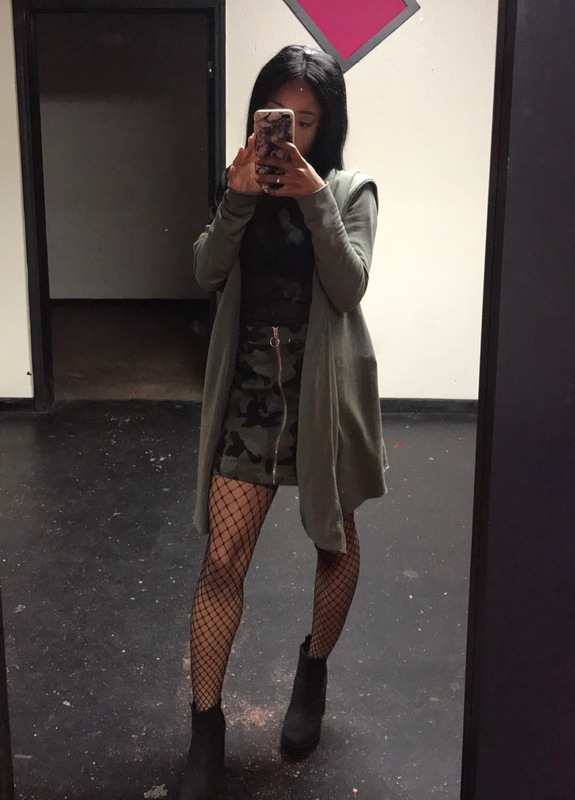 So I got this outfit idea from the whole fishnet trend that recently has made a comeback. I am really into the grunge, alternative, 90's fashion. Of course, I only wear black and olive green. Every piece in the outfit is S U P E R AFFORDABLE. If you would like to switch up pieces and make this outfit work for you, every piece is changeable. Once again, stay blessed and have a good one.